Gold futures were trading higher in early hours on Monday, with traders looking ahead of Federal Reserve minutes from its last policy meeting and a revised reading on the US gross domestic product for the first quarter of this year. On the Comex division of the New York Mercantile Exchange, gold for June delivery was 0.04 percent 1254.10, to trade at $1250.70 a troy ounce as of 06:50 GMT. The yellow metal settled higher on Friday, extending gains as the dollar came under significant pressure in reaction to a political scandal affecting US President Donald Trump and members of his administration. Concerns that the Republican leader won’t be able to deliver his economic promises boosted demand for safe-haven assets such as gold. Bullion prices usually benefit from periods of high market stress, as traders try to safeguard their capital from uncertainty. Last week, the US Justice Department appointed a former FBI Director to serve in a special counsel created to investigate an alleged coordination between the Trump presidential campaign and Moscow. The appointment followed Trump’s firing of FBI chief James Comey, who was leading an investigation on that same topic. The US dollar index, which gauges the greenback against a basket of six major rivals, was at 97.17 this morning. The index closed 0.79 percent to the downside on Friday, swinging around a six-month low at 97.00. The index showed its worst performance since mid-2016, slipping more than two percent last week. Investors will be paying close attention to Wednesday’s Federal Reserve meeting minutes in search for clues on the timing of the next rate hike. According to Fed funds tracked by CME Group’s FedWatch program, chances for a June hike are currently standing at 78.5 percent. Oil futures were higher in Asian hours on Monday, with market players turning their heads to the next OPEC meeting later this week, while still cautious about upcoming inventory data from the US Energy Information Administration. The US West Texas Intermediate oil futures traded at $51.01 a barrel on the New York Mercantile Exchange, up 0.62 percent from its prior close. The international Brent crude oil futures soared 0.56 percent to trade at $53.91 a barrel as of 06:35 GMT. On weekly basis, WTI contracts added more than $2.49, while the London-based benchmark showed a $2.77 increase. Crude benchmarks settled in green territory last week, adding more than five percent during the week on growing optimism that Organisation of Petroleum Exporting Countries and independent producers will extend its output cuts agreement beyond the June deadline. Last week, OPEC’s de facto leader Saudi Arabia and Russia have said the extension of the deal is the way to go at this stage. Both nations also proposed a nine-month renewal, instead of the previously outlined six-month duration. Oil ministers are gathering in Vienna on Thursday May 25 for a final vote on the output cuts deal. Cut levels hasn’t been decided quite yet, although analysts believe the current 1.8 million barrels per day sound like a reasonable target to be continued until March 2018. OPEC has reported good compliance with the deal in the last few months. On Wednesday, the Energy Department will release its weekly report on crude and refined products stockpiles. Last week, the agency reported a 1.75 million barrels drop in crude inventories for the week ended May 12. Analysts had forecasted a 2.4 million barrels drawdown. While the reduction was considerably below expectations, investors were satisfied with the downtrend. Baker Hughes will present its weekly oil rig count on Friday. 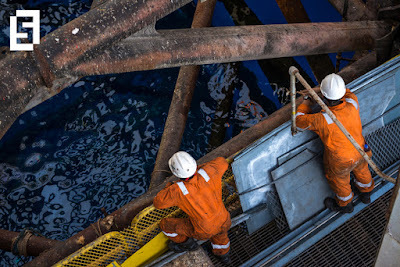 The last report showed a rise of 8 rigs to a total of 720, marking an eleventh-straight week of increase that leaves it at the highest point since April 2015.